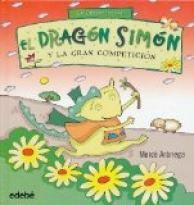 In this new title, Simon the dragon meets Carasucia - a giant who's terrified of water and never washes. Bit by bit, Simon is able to convince him not to be scared, and in the end Carasucia enjoys his bath. This story teaches about the importance of hygiene and how to treat small wounds.